New technology showcased at the Aircraft Interiors Expo this week will enable passengers to book overhead bin space in advance. 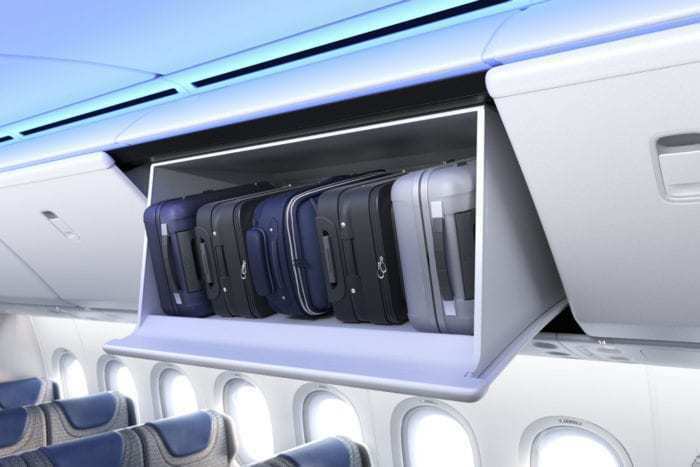 The system, developed by Diehl Aviation, could solve the issue of overcrowded bin space, letting passengers secure the most convenient spot for their carry on bag. Unfortunately, it also means we could soon be paying to use them too. With the majority of low cost carriers now charging extortionate amounts for checked baggage, passengers frequently travel carry on only. 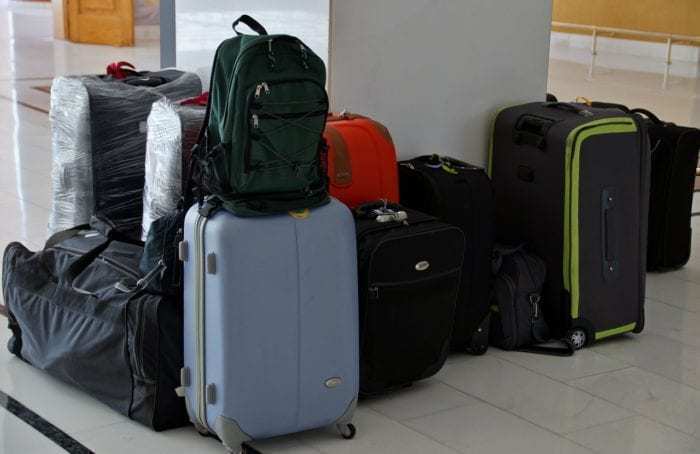 With permissible bags effectively being small suitcases, this can mean that the last to board are left with little or no bin space. As an example, a typical all-economy 737 would fit in the region of 180 passengers on board. However, the bin space on this narrowbody aircraft can only accommodate around 90 cabin bags. As a result, those who haven’t paid for priority boarding (or got status with their frequent flyer program) will either have to queue early or risk checking their bag at the gate. Plenty of companies have attempted to tackle this issue. 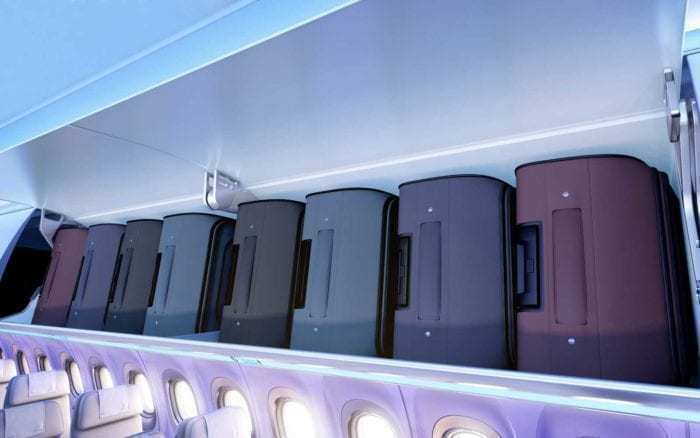 Airbus have developed the ‘Airspace XL bins’ which allow 60% more rolling cases to be stored. The achieve this by stowing the bags vertically rather than horizontally, allowing for eight bags to be placed in each overhead bin. The launch customer for the Airspace XL was American Airlines, who are using the new feature on their A3211neos. They also plan to retrofit them on their entire fleet of earlier A321 aircraft, more than 200 aircraft in total, which should help to ease the issue if you’re a frequent flyer of AA. Airbus are hoping to take this concept one step further too. At the Aircraft Interiors Expo (AIX) this week, they demonstrated a mockup of a strip of lighting under the bin, which would indicate whether the bin was full, partially in use or empty using a traffic light system. Boeing also stepped up to solve the problem, introducing their new Space Bins on next generation 737s. These also work by storing the bags in a vertical position, increasing capacity from four bags to six. They’ll be using a version of this on their forthcoming 777X too. But what if you could reserve your bin? All these solutions are great, and definitely a step in the right direction. But, for passengers on LCCs, there’s still a risk that they’ll be last to board and therefore have to clamber over a multitude of aisle passengers to reach a bin that is miles away from their seat. But what if you could book your bin space in advance? Showcased at this weeks’ AIX, Diehl Aviation have developed technology which will allow bin space to be reserved, just like your seat. Using a screen on the front of the bin, a display will indicate which passengers have reserved that bin space, letting them ensure they get a slot right above their seat. The flip side of this is that it opens up the floodgates for airlines to add another chargeable item to our journey. If the space in the bins can be reserved, then the space in the bins can be paid for. And it will. Airlines have been looking for a way to monetize overhead bin space for a while. United Airlines basic economy tickets prohibit the use of overhead bins, and Frontier charge $25 to make use of it. American Airlines have said they will reserve some overhead bins for the exclusive use of ‘main cabin extra’ passengers, and we all know Ryanair would love an excuse to wring more money out of their passengers. Up until now, there’s been no effective way of policing overhead bin space, but now it seems like the technology could almost be there. Whether we’ll see it soon or not doesn’t matter, it’s clearly only a matter of time.